Thank you for analyzing and uploading the modified fireball movie which is very stable. I like this type of movie due to find a detail structure. 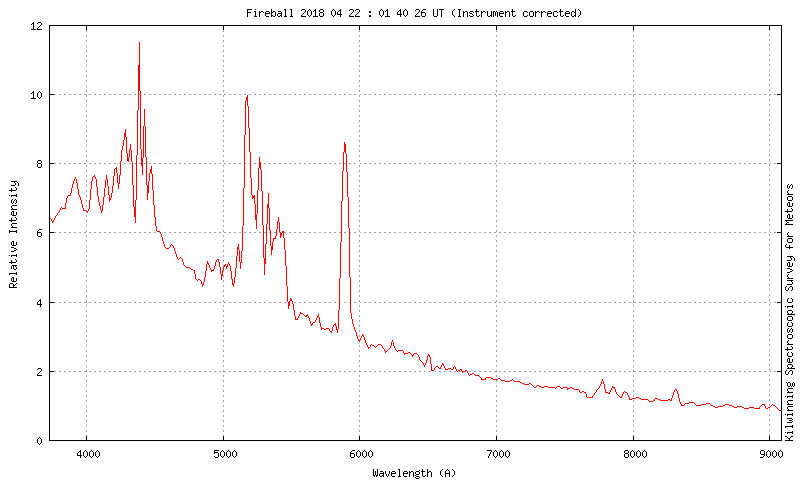 The rest of the spectra I caught were in the range -2 to +2 also. They actually show some very interesting temporal effects on some lines. I'll be writing up the results for the JBAA and WGN next year. Now looking forward to the Quadrantids! I put together a short youtube video showing the brightest fireball I captured during my Geminid excursion. 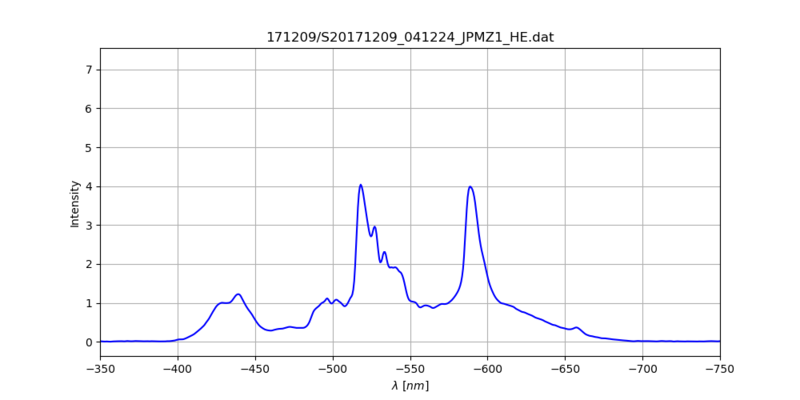 Got some nice spectra during my Lyrid observing last month. However I also captured a more unusual spectrum too. Seems to have been a very slow moving meteor with no atmospheric emissions. 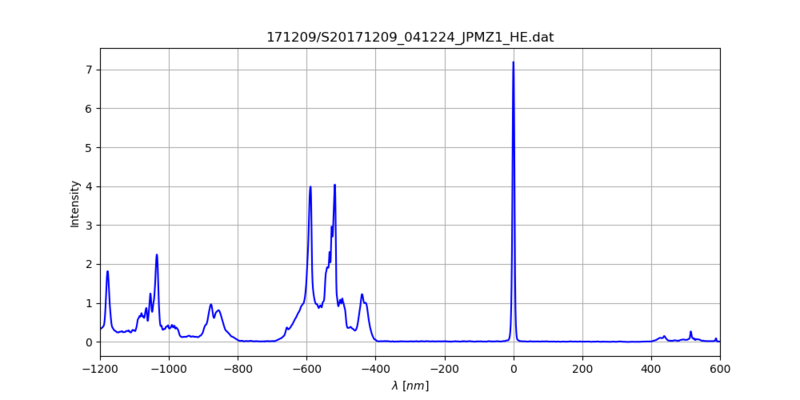 Very strong sodium emission and bright sodium trail (in the spectrum). Nice bright emission from iron lines as well. Had a good night last night with a large haul of meteors and several spectra. This was the brightest with very strong atmospheric lines. Very swift with the distinctive emission at 5577A. Many of the little "bumps" are N and N2. Thank you for your new spectrum. Yes, the 777 nm line is so large. 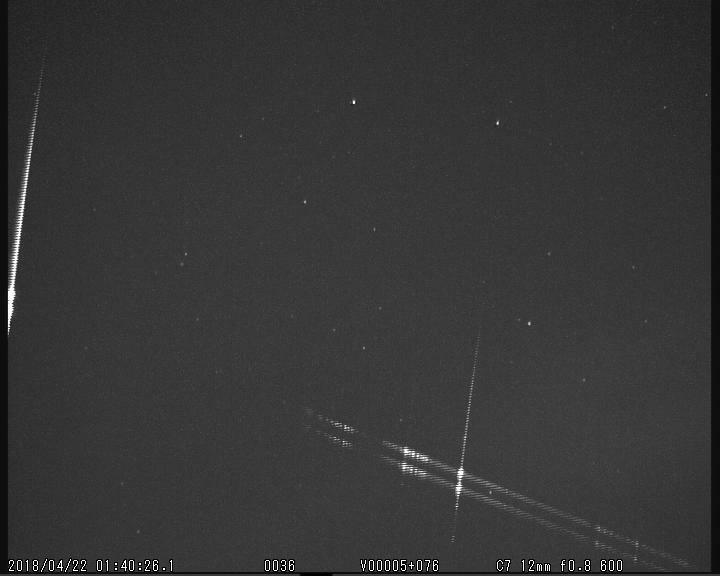 For a high-speed meteor, I think that the strength of 578nm line is weaker than 777nm line. Is this spectrum after sensitivity correction of the sensor? By the way how about your Kilwinning Spectroscopic Survey for Meteors project afterwards? I remembered it to see the graph. In order to see the smaller features more clearly I have not corrected for detector sensitivity. The 557.7nm line is prominent in the video because the forbidden transition takes ~2 seconds so lasts longer on the video that the rest of the spectrum features. In reality it is quite a weak emission. My system is working well. I have recorded many spectra now (in the hundreds). What I have discovered over the last 10 years is that the spectrum can actually give us a lot more information than just compositional data. 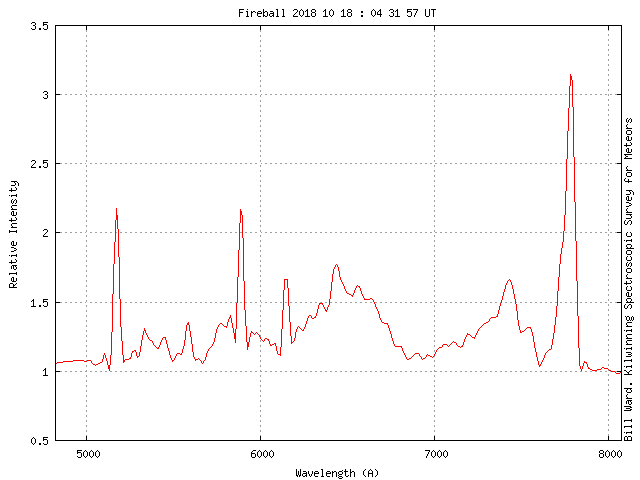 The profile of the spectrum can give a lot of indirect information about the meteor even without being very detailed. This can be tied in with other observations. That has surprised me as I was not expecting it! Thank you for you reply. I also have analyzed without correction the sensitivity of detector at first. I agree that the relationship between meteor spectra and light curves, orbits and et al. is very interesting. I am looking forward to see what kind of things you have discovered from the many spectrum of the meteor that are known orbits. 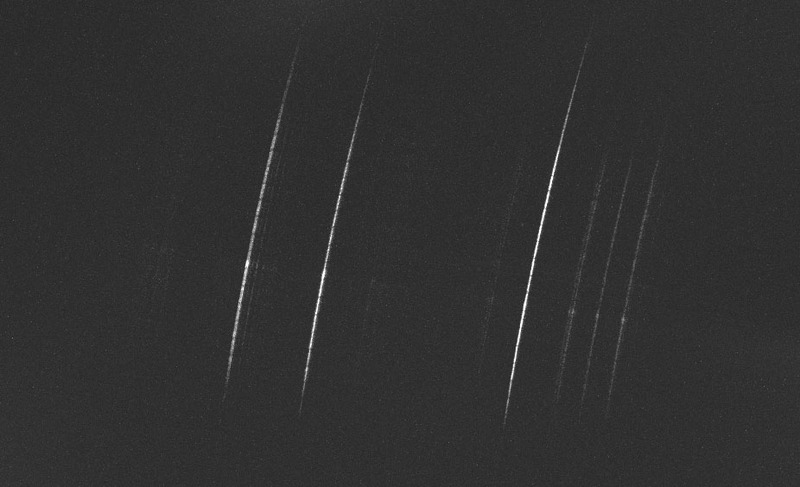 I have captured a lucky image of meteor spectra, last night. 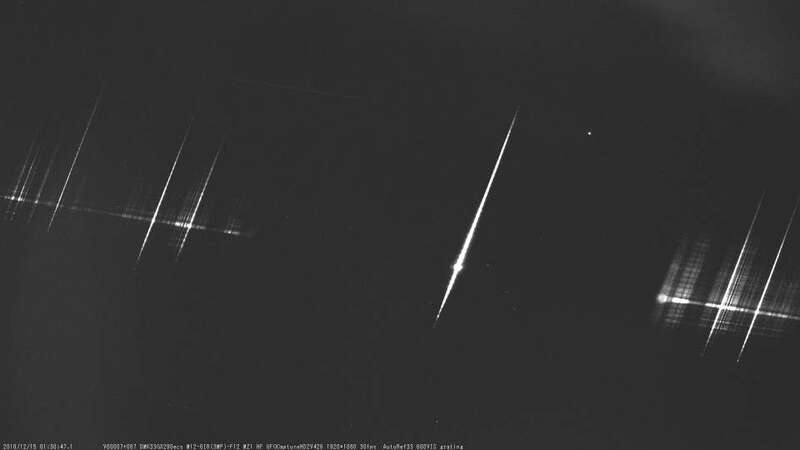 That is two meteors framed in one clip and crossed each other apparently. Both meteors may be sporadic meteors. -	Plot the final result. If you are interested, have a look there. Since some images were saturated, the lines are broadened. No instrument reponse correction applied, difficult for colour camera. A year ago, time really flies. I can hardly believe this thread is now 6 years old! That looks like great work. I'll have to read it carefully. Of course, I will not forget you. You seem to have created a wonderful spectrum analysis software. I have no experience with Python, but I understood the flow of analysis by reading the manual. I think that it is efficient to input video files and handle them. If I can master this program, I can analyze thousands of spectra, but for me it might be a high hurdle. I am testing a new ｍonochrome spectrum camera system. but this system is very small, then it can be easily put in a housing. Looks a great system. I tried an Image Source camera a few years back but it was a tiny 1/4 inch chip with equally tiny pixels. I didn't catch anything with it! 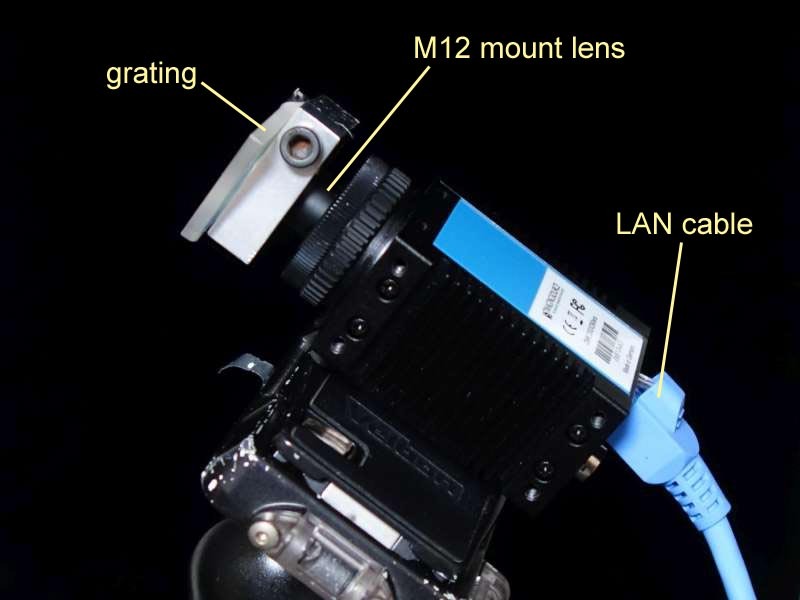 What sensor is in your camera? 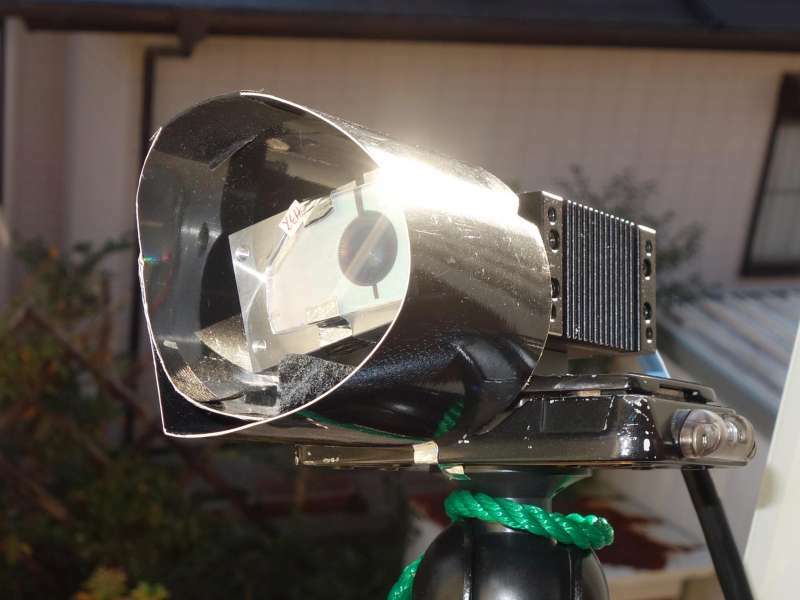 I am planning on setting up a similar system with a ZWO camera next year.